Whether you are traveling to Tanzania for company, pleasure or study, the best approach to ensure a carefree and relaxing African Safari excursion will be to proactively prepare to prevent problems. 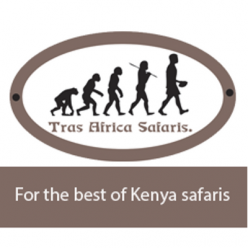 Tras Africa Safaris has provided an extensive list oftraveling thoughts to assist your journey go as smooth as possible in order to aid you with the groundwork of your Tanzania safari. Instead, do not hesitate to get in contact with us should you need additional advice. From the exceptional Ngorongoro Crater, to its own Indian Ocean isles’ barefoot luxury, the vast plains of the Serengeti along with the snows of Mount Kilimanjaro, Tanzania provides several the greatest places in Africa. The Serengeti carries numerous the best concentrations of lion, cheetah and leopard in Africa, and is the best game reserve on the continent. 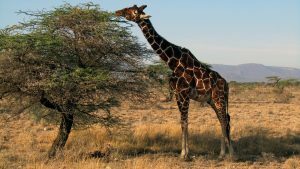 The nearby Tarangire as well as Manyara National Park hold adiverse selection of flora and fauna. 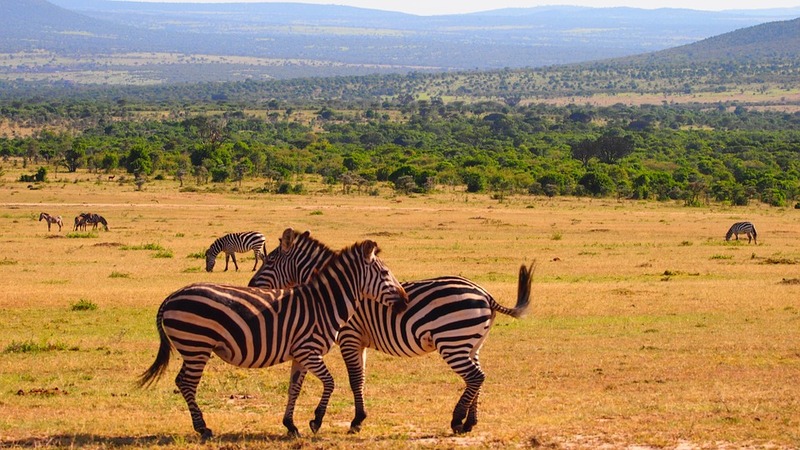 In the south of Tanzania lies a game reserve that is relatively unknown and untouched. Selous, is about the size of Switzerland and is a great park to see elephant. The Rufiji River flows during the rainy season and through the reserve the park floodings. This’ special area, and it that’s not close explain its isolation from the vast concentrations of game alongside human contact. Generally the most famous manner of seeing game is on by guided walks and boat. Accommodation is in private mobile camps or long term camps and hostels. Both Zanzibar and also the Tanzanian shore boast outstanding tropical palm fringed coasts. Where is Zanzibar in Tanzania? Is Tanzania a safe safari destination? Please don’t walk alone in apparently deserted areas, especially in and around the cities. It is preferable and usually more satisfying to walk with company or in groups. Don’t get substantial quantities of cash in your bag or pocket or display high-priced jewelry. Be attentive to the opportunity of pickpockets and bag snatchers in crowded places. Keep this distinct from the originals. The majority of resorts offer safety deposit box service, before leaving house and be sure to have adequate insurance coverage. It is illegal to feed any creature, get excessive sound or deviate from roads that are designated for that image that’s closer. Never stray from your vehicle except at designated points. Close all windows or tent and spray it and zippers using insect repellent. Inquire every one of the questions you will have the ability to visualize and select reference books on not only wildlife but trees, birds and insects and read up about anything you see. It is a good idea to take out emergency/disaster medical insurance before entering Tanzania. The Bilharzia parasite can be found in many lakes and rivers, streams on the continent. Vaccinations for cholera, tetanus and yellow fever are advised. Your Doctor can advise you of the most suitable drug per ailment. Tap water in the towns that are significant is purified and completely safe to drink. In the more distant areas always boil it except in the event that you’re staying at resort or a hostel where drinking water is completely safe. Bottled water is not difficult to get in the bigger towns. Once again, it’s a good idea to buy travel insurance covering harms, illness or hospitalization for the time of your stay. First class and deluxe hotels can be found in the key cities in addition to the resorts on the coastline of the country’s. High-End hostels are set in exotic locations, while comfortable tented camps can be found in the main game parks. There are a number of banks in the significant towns as well as a lot of bureau de change. Cash unit is the shilling, making up 100 cents. Coins are in denominations of 5 shillings, 10c, 50c and 5c and 1. Importation of foreign currency should be declared on arrival and is not finite. The importation and exportation of Tanzania cash is illegal. Exercise extreme caution as they are sometimes without you even realizing an exchange on the black market for deceiving you, ill-famed, in the event you are offered it in the borders. Most eateries, shops, resorts, hostels, camps, car rental businesses, etc. take international credit cards Nevertheless, many they won’t be taken by small stores in rural areas. MasterCard, American Express, Visa and Thomas Cook Traveler’s Checks are generally chosen. Tips of 10% for excellent service is satisfactory. Service charges in many cases are added and it is usual to tip direct a tour driver a day or at least US $5. Postal services are pretty well ordered in Tanzania and you ought to have no problem sending or receiving letters. Between December and mid-March, the days are dry, glowing in addition to hot in addition to the nights are cool. Finest time for deep sea fishing and scuba diving is between August and March when the ocean is calm and water is clear. Rains fall mainly from April to June. Although Tanzania is considered to fall in the tropics, climate and temperature changes depending on closeness and altitude to the ocean. Coastal regions are hot and humid while the central tablelands are not wet along with warm, with cool nights. Lightweight casual clothes could be worn all year round, with jumper or a jacket for evenings and early winter mornings. A sunhat, Shades, sunblock and insect repellent are vital. Bring great walking shoes, sun screen and a hat. Remember swim wear and binoculars. Some city restaurants and clubs have dress codes – day-to-day jacket and tie day-to-day clothing for girls for men,. Most resorts and hostels will give a laundry service. For low budget travelers there are no coin operated laundromats be prepared for at all and hand washing consider clothing that is drip dry. In many places one could hire someone. Photography can be a challenge. Members of local tribes for modeling will expect payment. Bring a lot of media storage and/or video cassettes in case that you’re bringing a camcorder together with batteries – as these bits are difficult to get in Tanzania. Please bear in mind that taking pictures of government and military personnel and facilities is prohibited! A license is required by motorists. Road states are terrible though better than they once were. It is wise to transport a variety of tools and critical spares with you if you’re doing a vehicle trip through Tanzania. Two extra wheels and a couple spare tubes are a must because of the state of the roads. Extra cans of water and compressor, a tow rope, fuel, winch together with a spotlight are useful things. There are repair shops along the main roads at an incredibly reasonable fee offering tire mending services. Be fairly incautious to leave your vehicle or truck open and unattended. People with no cash are easily tempted. Dar es Salaam, Zanzibar and Kilimanjaro International Airport are the essential points of entrance. Scheduled services link the entry to the game parks in Tanzania, Mount Kilimanjaro, these cities to Arusha, and other centers. Coalition, South African Airways’ associate airline, and often scheduled air services link Dar es Salaam and Johannesburg. Car rental companies are represented in the cities are taxis and in the significant airports. All visitors ought to have a legal passport and are subject to clearance through customs. Personal effects, including film, cameras and binoculars are let into the country duty free. Throughout the year, Standard Time in Tanzania is three hours ahead of Greenwich Mean Time, two hours ahead of Central European Winter Time, and eight hours ahead of Eastern Standard Winter Time in the U.S. Whether you are traveling to Kenya for company, pleasure or study, the best means to ensure a relaxing and carefree excursion is going to be preventing all potential travel problems before they can happen. 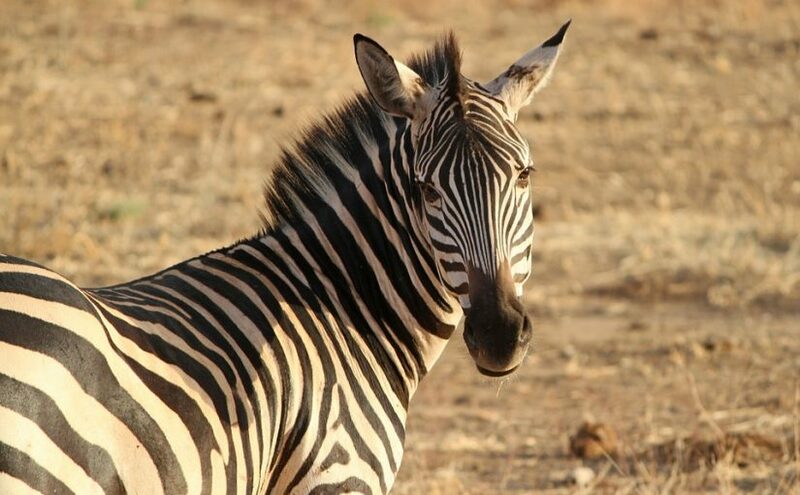 We have provided an extensive list of traveling thoughts to assist your journey to go as smooth as possible in order to aid you with the groundwork of your Kenya safari. Indeed, please do not hesitate to get in contact with us should you need additional advice or service. Don’t walk in apparently deserted areas, especially in and about the cities. It is preferable, safer and more comforting (safety in numbers) to walk in groups or with company. Don’t bring considerable amounts of cash in your handbag or pocket, or display high-priced jewelry. Be particularly alert and attentive to the possibility of bag snatchers and pickpockets. Make photocopies of the very first few pages of your passport, air ticket and other travel documents which critical to prove your existence and return travel. Keep this well protected and tucked away distinctly from the originals. NEVER leave cash or valuables in a hotel room. The majority of resorts offer safety deposit box service, and ensure you have appropriate travel credit card and insurance coverage before leaving your house. Please stay with your trusted guide and NEVER get out of your safari vehicle except at designated points. What about Well Being in Kenya? It’s a good idea to take out crisis medical insurance before entering Kenya. Bilharzia: The bilharzia parasite can be found in many lakes and rivers, streams on the continent. Vaccinations for cholera, tetanus and yellow fever are directed. Take prophylactics before coming after leaving and continue. Tap water in the towns that are significant is purified and completely safe to drink. Except if you’re staying at a hostel or resort where drinking water is completely safe in the distant areas always boil . Bottled water is not difficult to get in the bigger towns. Members who desire emergency medical attention on safari are flown to Nairobi for the best medical attention reachable the state. Each traveler should take an adequate supply of medicines and first aid accessories with them as supplies especially away from important towns, are limited in Kenya. There are few Doctors or pharmacies open after hours or Sundays. 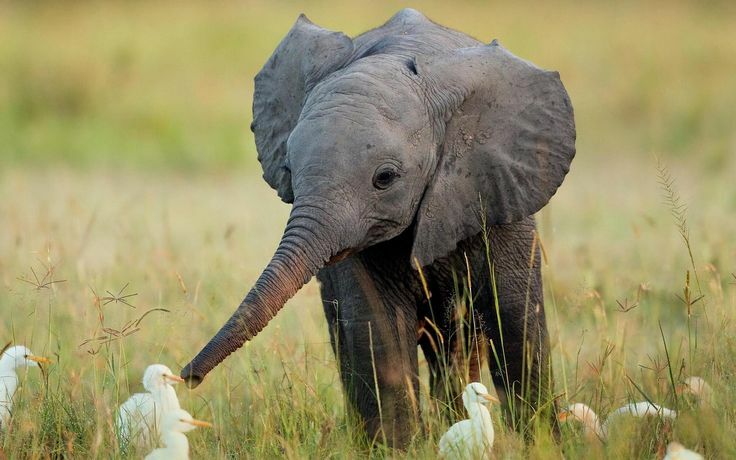 Standards and services differ from Africa Safari Travel companies. First class and deluxe hotels can be found in the resorts on the nation’s coastline in addition to the key cities. High-End hostels are set in exotic locations, while comfortable tented camps can be found in the main game parks. There are a number of banks in the significant towns bureau de changes. Most eateries, shops, resorts, hostels, camps, car rental businesses take legit international credit cards Nevertheless, many they won’t be taken by small stores in rural areas. MasterCard, American Express, Visa and Thomas Cook Traveler’s Checks are generally chosen by travelers and preferred by merchants. A point of 10% for excellent service is satisfactory. Service charges in many cases are added and it is usual to tip direct a tour driver a day or at least US $5. Cell phones are becoming more and more popular but, as can be imagined, service signal can be a major challenge. If you must communicate via landline, make international calls from a private home or large resort. When is the best time to experience Kenya? Between December and mid-March, the days are dry and the nights are cool, at least by African standards. Finest time for deep sea fishing and scuba diving is between August and March when the ocean is calm and water is clear. Although Kenya is believed to fall in the tropics, temperature and climate changes depending on closeness and altitude to the ocean. Coastal regions are hot and humid while the central tablelands are not wet along with warm, with cool nights. Lightweight casual clothes could be worn all year round, with jumper or a jacket for evenings and early winter mornings. A sunhat, Shades, sunblock and insect repellent are vital. Bring great walking shoes, sun screen and a hat. Remember swim wear and binoculars. Some city restaurants and clubs have dress codes – day-to-day jacket and tie day-to-day dresses for girls for men,. Most resorts and hostels will give a laundry service. For low budget travelers there are no coin operated laundromats be prepared for at all and hand washing consider clothing that is drip dry. In many places one could hire someone. Not as easy as you think! Maasai and Samburu warriors will expect payment for modeling. Bring a digital photo device with plenty of memory and in case that you’re bringing a camcorder together with batteries. Once again, these common items in your home country can be difficult to secure in Kenya. As we have said in previous articles, please bear in mind that taking pictures of government and military personnel and facilities is prohibited! Standard services link Kisumu, Lamu, Malindi, Mombasa and Nairobi. Air Kenya, flies to Lamu, Masai Mara, Amboseli, Nyeri, Nanyuki and Samburu. A departure tax of U.S. $40 is levied when leaving the state (Please evaluate whether it is included in your ticket). All visitors ought to have a legal passport and are subject to clearance through customs. Also, all non-Commonwealth citizens require a visa, to be got in the place of entry abroad or from Kenyan Duties. Personal effects, including film, cameras and binoculars are let into the country duty free. Through the year, Standard Time in Kenya is eight hours ahead of Eastern Standard Winter Time in the U.S, two hours ahead of Central European Winter Time, and three hours ahead of Greenwich Mean Time.